Great location. Really friendly and helpful owners, they shared information/tips for our stay at Poros! Very friendly and helpful, and the apartment worked very well for our family - a comfortable bed, lots of space, and good facilities. 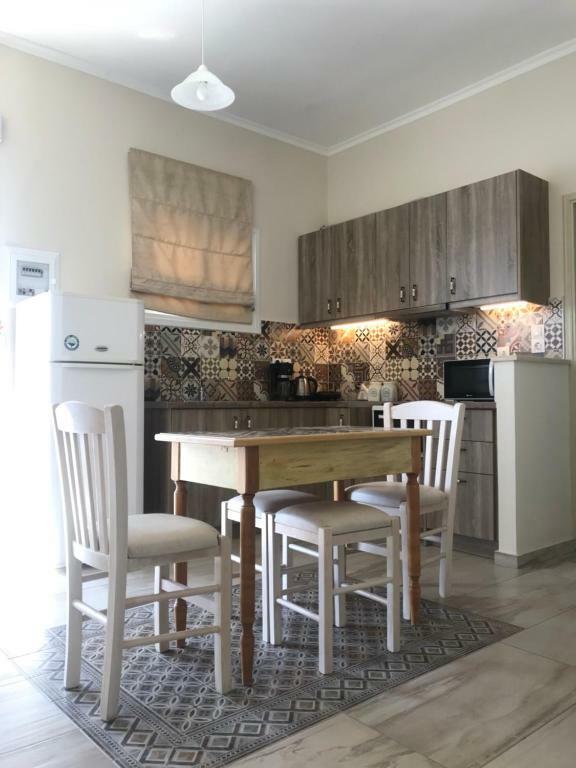 Property run by family, friendly staff, the suite rooms come with kitchenette. Helen hotel was fantastic, Just behind the beach with spacious rooms ( house indeed with 2rooms & kitchen& bathroom& and wide entrence) and a wide sea view balcony. Owners were so friendly and warm. We felt like home! It'll be one of the properties that I want to visit again. Sophia and her Family were very. Kind and friendly. We were a bit early in the season so the Bar and Restaurant were not open yet but they were happy to advise alternatives. The Beach nearby had a blue flag apparently & the water was nice and clear. The apartment is in a good location and very spacious with a good-size balcony. 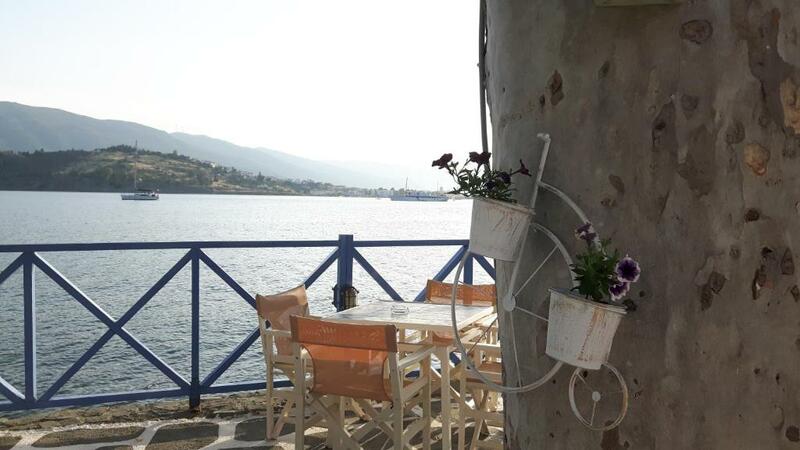 There are restaurants near by and the walk into Poros town is about 25/30minutes. The hosts were very friendly and welcoming. Very reasonably priced, friendly owners, walk over the road and there is the sea and you can sit and have a drink or a meal, couldn't have been more convenient. Really close to beaches, all an easy walk. Really enjoyed ourselves. Small secluded beach just across the road. Hotel restaurant food was very good. Lock in a great price for Helen Hotel – rated 9.2 by recent guests! Each apartment at Helen Hotel is air-conditioned and offers a veranda with magnificent view to the beach and the pine trees around it. It includes a well-equipped kitchen with dining area, and a bathroom with bath and hairdryer. 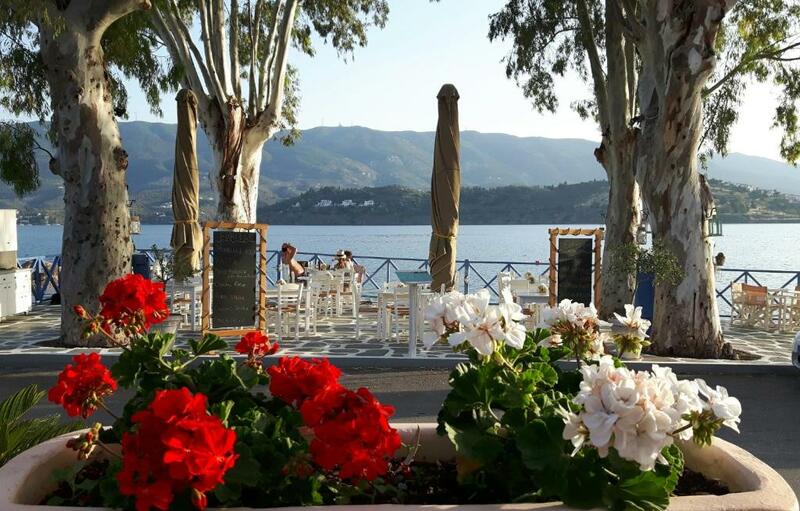 The on-site Eyriali restaurant serves traditional Greek dishes, homemade pizza and a variety of salads and starters. 뀐 Located in the top-rated area in Poros, this property has an excellent location score of 9.3! When would you like to stay at Helen Hotel? Air-conditioned apartment with a veranda with view to the beach. It includes a well-equipped kitchen with dining area, and a bathroom with bath and hairdryer. Overlooking Askeli Beach, this vintage-styled apartment has a kitchenette fitted with patchwork tiles, mini oven and coffee machine. This apartment has a balcony, toaster and tile/marble floor. Our guests love Hotel Helen's hospitality and recommend: "Come as a guest but leave as our friend..."
House Rules Helen Hotel takes special requests – add in the next step! Helen Hotel accepts these cards and reserves the right to temporarily hold an amount prior to arrival. The showerhead was not attached to the wall so was difficult to use. You had to hold it over yourself and wash at the same time. Kitchen wasn’t well equipped. Ground floor apartment. Higher floor would have been better. Great staff, clean and very comfortable room, private cozy beach and sunbeds! The beach is quite small, rocky and there were spiky sea urchins. Beach shoes are a must. Also, not sure I agree with the minimum consumption in order to use the beach (would be OK for non-guests, but shouldn't apply to guests of the hotel). Very spacious apartment with a separate well equipped kitchen. Big balcony with sea view and outdoor furniture to enjoy a glass of wine/dinner al fresco. Playground in the backyard, which is great if you travel with children. Easy to get to Poros town but plenty of places locally (in Askeli) as well. Two supermarkets walking distance (10 minutes away) from the hotel. What I loved about the Helen Hotel was it was exactly as I expected it would look but with the added extra of charming family running the whole thing and really delicious food. There is no pretension, no fancy lobby or reception room, the exterior is uncompromising though everything promised well with clean lines and sunlit reception. And the rooms in the 2 bed apartments are decorated with very good taste and snowy white linen; someone has flair. Everything worked. There were only a few steps across a road in this holiday town to the terrace or beach. The beach is stoney but the water so clear and the swimming sublime. We were there for the last 2 nights of a 2 weeks holiday and we were all able to completely relax. Staff were very helpful and friendly. The outdoor eating area by the sea was delightful, nice views and a beach very close by to keep the children entertained while enjoying dinner. Great apartment. Really good size. Great facilities, air con. Family run, lovely and friendly. Situated in Askelli so about a 5 minute drive from Poros port. Lovely hotel restaurant overlooking the beautiful bay. Beautiful beaches in the vicinity, both pebble and sand. Lovely, clean, large apartments. Friendly and helpful staff. Stunning views.